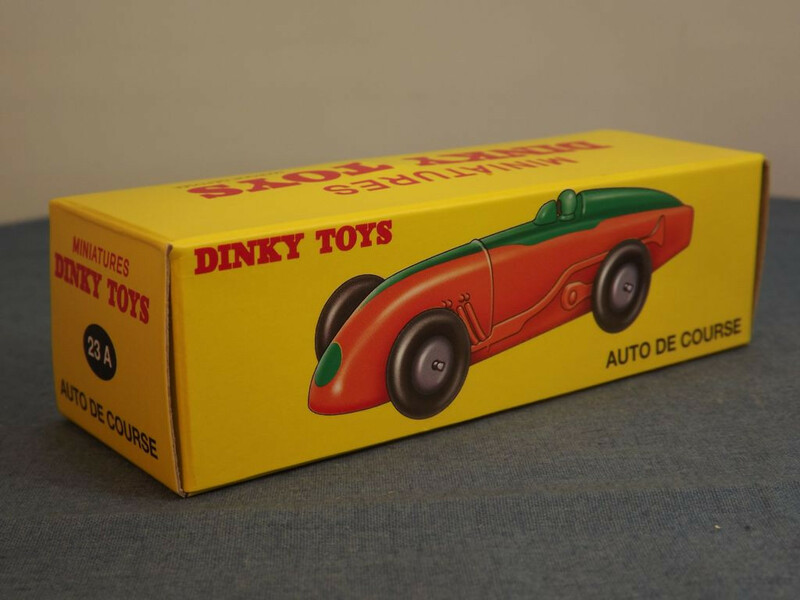 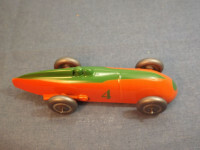 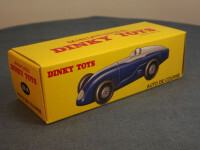 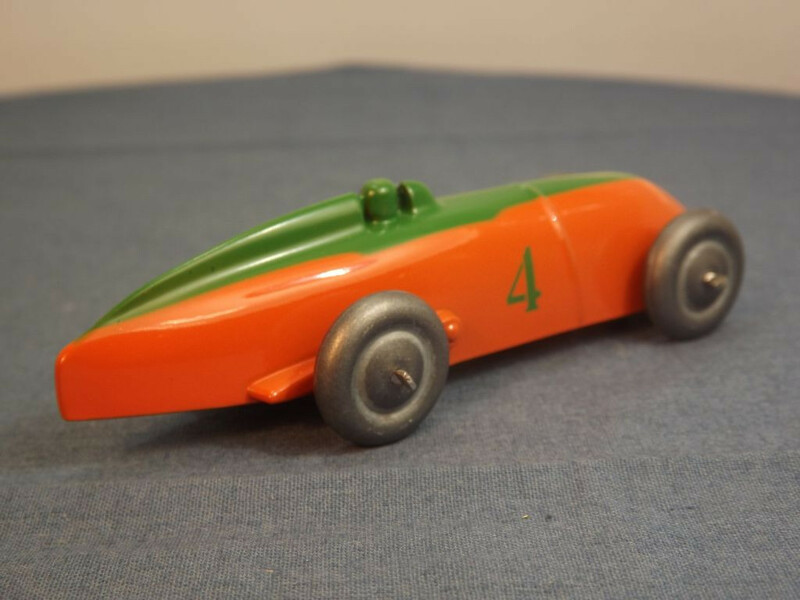 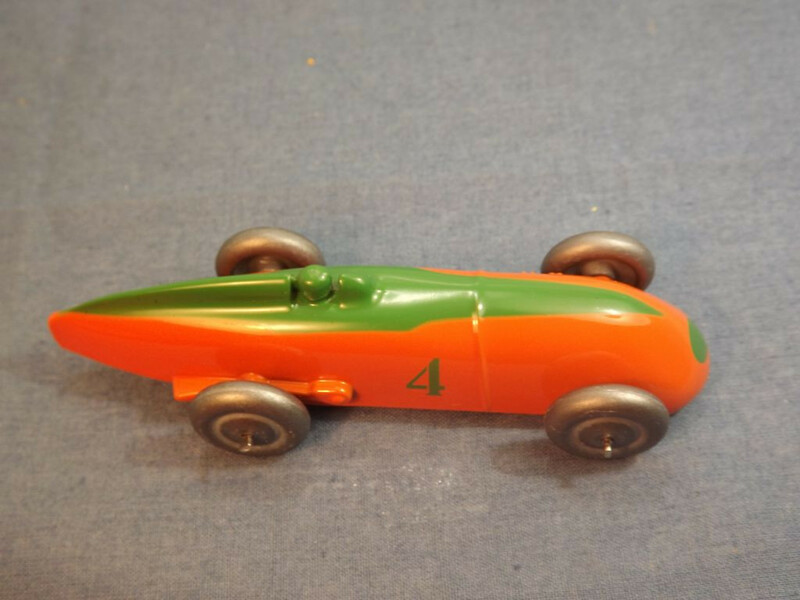 This model is the Editions Atlas Dinky 23a-H-2 Racing Car in orange with green diamond shaped trim. 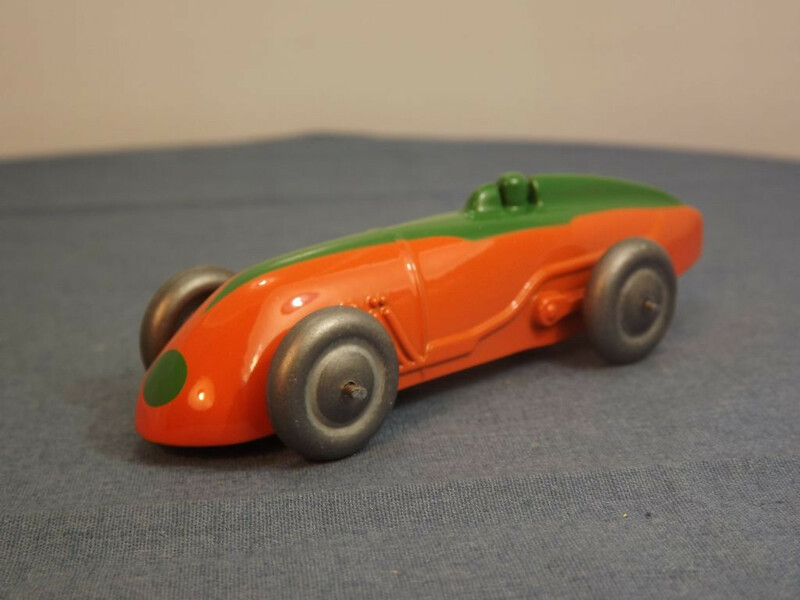 There are no opening parts on this model and all detail such as suspension, exhaust system, driver, and faring is cast into the body. The car is adorned with a green circle to the front, diamond shaped green trim to the upper body, and green racing number (4) on the right hand side of the body. 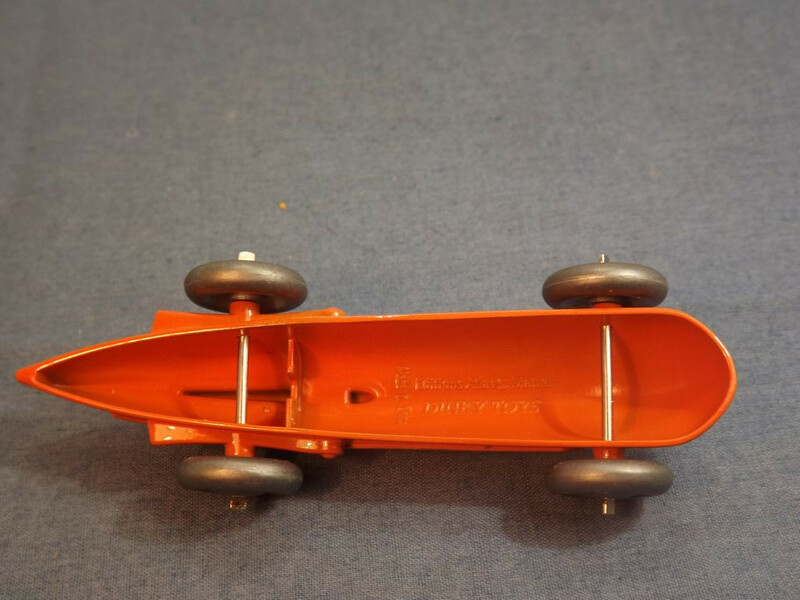 All wheels are one piece, solid, unpainted, metal on crimped steel axles which pass through the body casting. 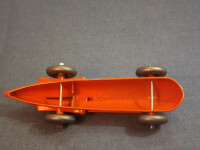 There is no base plate appears but the underside of the body casting carries the legend "Editions Atlas &copy; Mattel, Dinky Toys" on two lines in the centre of the underside, and "Made in China" at right angles to this, just forward of the rear axle. Exact issue date is unknown but circa 2016.